The Top Hat never rests, and if you stay on top of their calendar you’re sure to find free concerts almost every week. Better yet, you can use all that money you’ll save on tickets to grab one of their delicious signature cocktails. It doesn’t matter what day of the week it is—Draught Works will be full of people drinking beer, kids running around, and (more often than not) live music. If you stop by on a Thursday, Saturday or Sunday evening you’re guaranteed to hear some of Missoula’s favorite local musicians. Plenty of room for cold beer and good company. Photo courtesy of Draught Works. Imagine Nation is always hosting something or someone, from fundraisers to food trucks. Check out their full events calendar for weekly concerts, or stop by on a Monday to catch up and coming artists at their weekly open mic. Imagine Nation likes to take their music outside as soon as the sun comes out. Photo courtesy of Imagine Nation. It’s not rare to find local bands and a full dance floor at the Union Bar and Grill, a downtown staple for over 100 years. Check out their monthly events, or stop in next time you’re downtown. There’s something about live music at the Union that makes you want to dance. Photo courtesy of the Union. Fine dining and live music go hand-in-hand at Red Bird, located in the historic Florence Building downtown. Make dinner reservations on a Monday night to enjoy live music ranging from reggae to jazz. Dubbed “Missoula’s Rock Bar,” the Dark Horse hosts local and traveling musicians on their stage every month, often with no cover charge. If you’re a metalhead looking for a break from bluegrass, check out their Facebook page for upcoming events. The best place in town to catch local rock bands. Instagram photo by @sarahkuhn22. Adjoining The Dark Horse is the Sunrise Saloon, where country music fans flock. Get ready to swing dance in the only venue dedicated to Western music in Missoula! Sunrise hosts live music every Thursday, Friday and Saturday. Bike shop, community outreach and live music all in one—exactly what you’d expect in a city like Missoula. By day Free Cycles provides Missoula with the tools and knowledge to repair bikes and promote environmentally-friendly transportation. By night, their eclectic stage lights up with local musicians. Travel in Free Cycles style and bike to your next show! Possibly some of the most eclectic decorating you’ve seen. Photo courtesy of Free Cycles. Enjoy live music for the whole family at the ZACC. Underneath their community center lies the 5,000-square-foot ZACC basement where they host all-ages, low-cost concerts! Head to their Facebook page for everything you need to know about upcoming shows. Concerts for all ages, by all ages. Photo courtesy of ZACC. 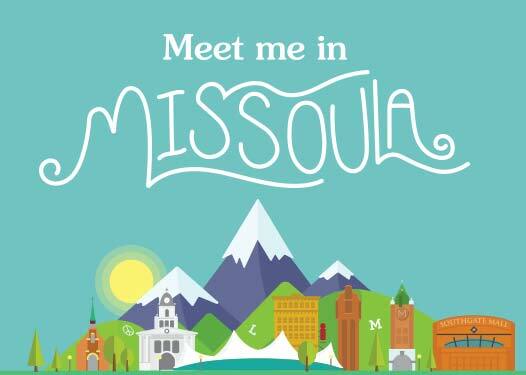 As soon as warm weather hits Missoula we take to the outdoors, especially for live music! Visit Caras Park this summer for free, live music every Sunday. Food trucks, live music and blue skies—classic Missoula. Photo cover courtesy of Imagine Nation Brewing.